We [probably me more than anyone!] 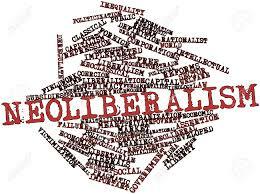 use neo-liberalism as a shorthand phrase to describe the nature of the period we’re living through. Understandably from time to time people ask quite what we mean by neo-liberalism. Thus from time to time we post what we hope are helpful thoughts on the spectre that haunts today and the future. In this piece, Hard Times ; the human face of neo-liberalism, Sue Gerhardt explores the way in which the neo-liberal way of seeing things seeps into our personal and working lives and into the very fabric of our public institutions, the way in which they are run and managed. At one point she draws on the Rotherham events to make her case. Dominated by a ‘transactional mindset,’ many organisations become so focused on particular outcomes that they lose the capacity to listen in a relational way to the whole person and their needs, or to respond to the whole situation. After 17 years as a council youth worker I can only say that towards the end, a despicable policy of detachment and disempowerment of workers was cleverly employed in order to prevent communication and solidarity in the rank and file. They were excluded from all but neighbourhood team meetings, not provided with e mail addresses and kept oblivious to the changes and direction of the service. This commenced when it was combined with another service and it was left without a qualified youth worker at the helm. We got a ‘suit’ instead. Corporatisation walked through the door and changed the whole game. This made it much easier to manage the dying days of the service more effectively and without too much challenge. And thus the challenge is to resuscitate in all manner of ways collective resistance to this deeply damaging and divisive phenomenon, we call, neo-liberalism. Or it will maintain its stranglehold. I was about to write a short blog on the way attitudes have hardened and become more individualistic and there’s more bullying going on in all areas. I’ll let you know when I’ve posted it. Emily – that would be much appreciated. We do need more inside stories about what has gone on and is going on as this reality gets brushed under the carpet. And thus those in control get away with pretending everything is dynamic, progressive, innovative etc…..